Alberta has RE-OPENED and we're ready to PARTY! We put a TON of work into remodeling, rearranging and renovating our Alberta St store and we're ready to show it off to you and celebrate! This week marks the first official week of Autumn! We are excited to unwind and hole up at home with comfy fiber crafts this fall. We particularly love needle felting in the fall and winter months. 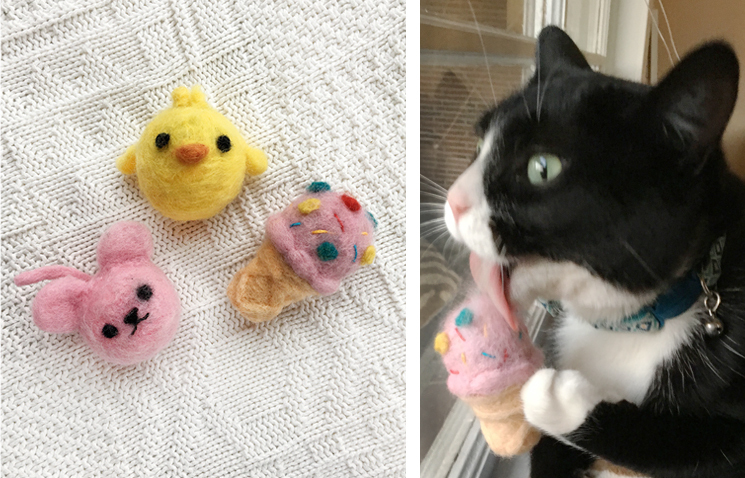 For this week's DIY, we've made some delightful felted cat toys. They are a great project, as you can either make them quickly or carefully, and your kitty will love you for it! These would also work well as ornaments, by stringing thread through them. Click the link below for more pictures and a step-by-step on this cozy craft. Supplies available at collage! There are still a few warm days left of summer, and we thought we’d share one of our favorite warm weather crafts: indigo dying. At collage, we sell a variety of products that can easily be dyed, including backpacks, muslin bags, aprons, kitchen towels, and more. 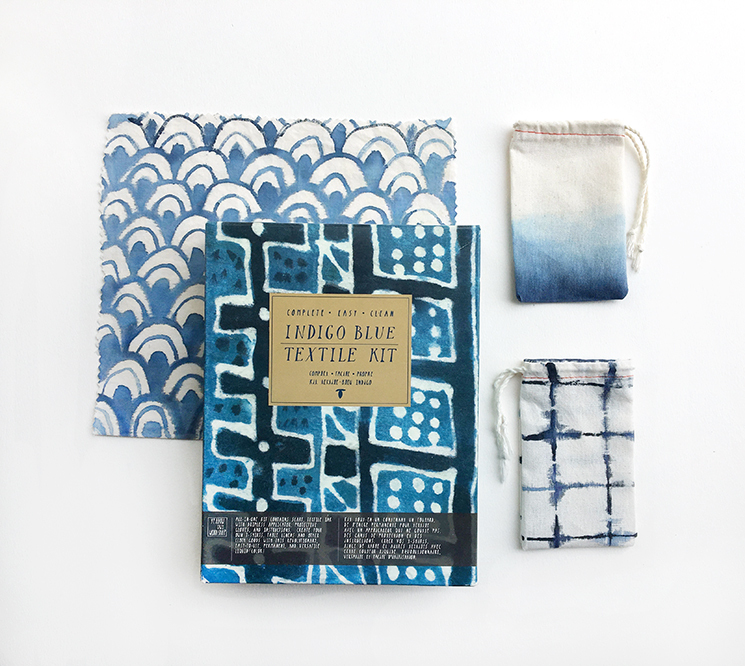 For this DIY, we used Yellow Owl Workshop's Indigo Blue Textile Kit, which is very easy to use, and easy to clean up, and a simpler process than more traditional indigo dying kits. It's great for pre-teens, teens, and adults! Click the jump below to see the steps for this delightful craft, and to see more finished results. 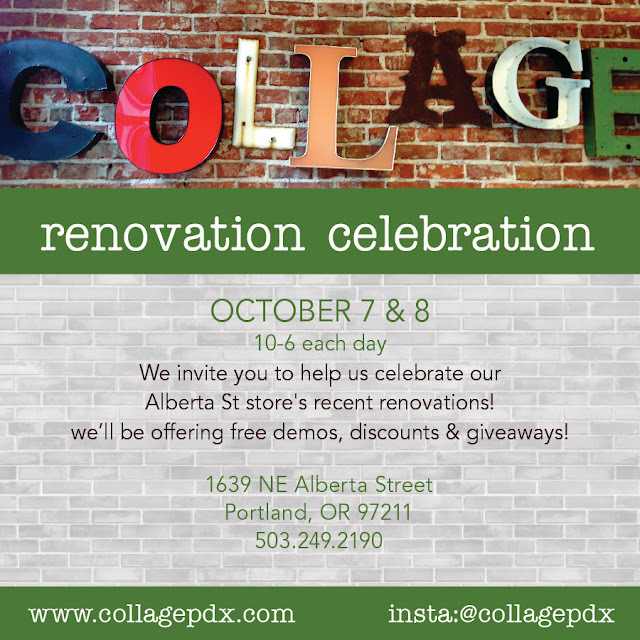 All supplies available at collage! It's back to school time! We have a ton of products in the store for making your own pins, keychains, and more, to start the school year off with some fun, expressive flair. 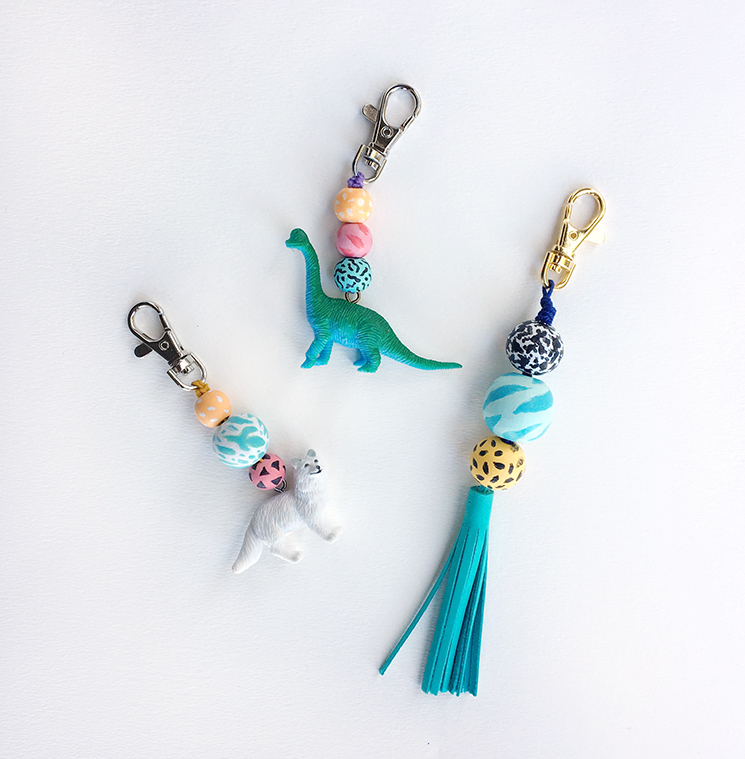 Check out these cool and easy keychains we made, and continue reading to learn how to make your own. We also thought we would dedicate this post to some of the awesome pins, patches, and backpack flair that we have at the store. We love to support local artists and small businesses, and many of them are making their own pins and patches for purchase! Click the jump below to see the details on these DIY keychains, and to see some of our pins we have in the store. Note, supplies vary by location. If you have a certain product in mind, be sure to call the store ahead of time to check on stock.